Fresh off the greens or just stopping by, we are certain our blended menu selections on our lunch, dinner and happy hour menus will satisfy any appetite! 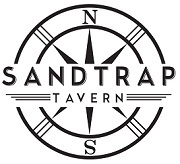 Kitty Hawk, NC has never offered such a well-rounded, hearty menu as Santrap Tavern’s. Don’t take our word for it…try it for yourself!